Without forfeiting comfort, 11 rooms with refined and exquisite taste have been converted from the antique farmhouse and hayloft. 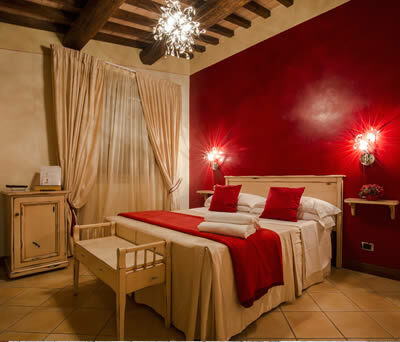 You will be able to enjoy the pleasure of sleeping in rooms decorated with authentic pieces of country-style furniture, perfectly in line with the culture and style of the Agriturism. In the rooms where silence reigns supreme, let yourself be cradled by the sounds of nature. 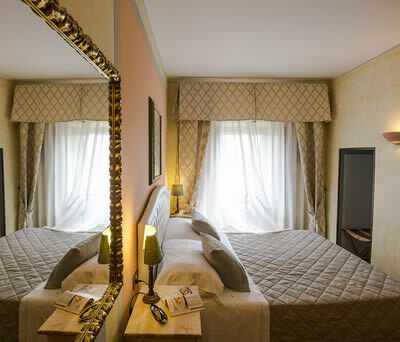 A refined and elegant double room: accommodation and breakfast, private bathroom with shower, an enhanced set of complimentary toiletries, air conditioning/heating, Internet WI-FI, satellite TV, minibar. A refined double room equipped with every comfort: accommodation and breakfast, private bathroom with shower, an enhanced set of complimentary toiletries, air conditioning/heating, Internet WI-FI, satellite TV, minibar. Connecting double rooms equipped with every comfort: accommodation and breakfast included, 2 private bathrooms with shower, an enhanced set of complimentary toiletries, air conditioning/heating, Internet WI-FI, satellite TV, minibar. Sign up for our Newsletter to receive updates about our promotions and events in the area.